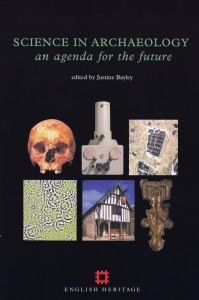 The papers in this volume were presented at a conference held in London in February 1997; their theme is the contribution of the sciences to archaeology. Each paper includes an element of reporting and review but, more importantly, helps set an agenda for the future by identifying archaeological questions that existing scientific techniques, or refinements of them, have the potential to answer in the short to medium term. The papers are grouped into four broad chronological periods, from the Palaeolithic through later prehistory to Roman and medieval and later times. However, the authors were encouraged to draw examples from other periods where this led to better overall coverage and, as the concluding remards show, there were many recurring themes that cut across the conventional period divisions.